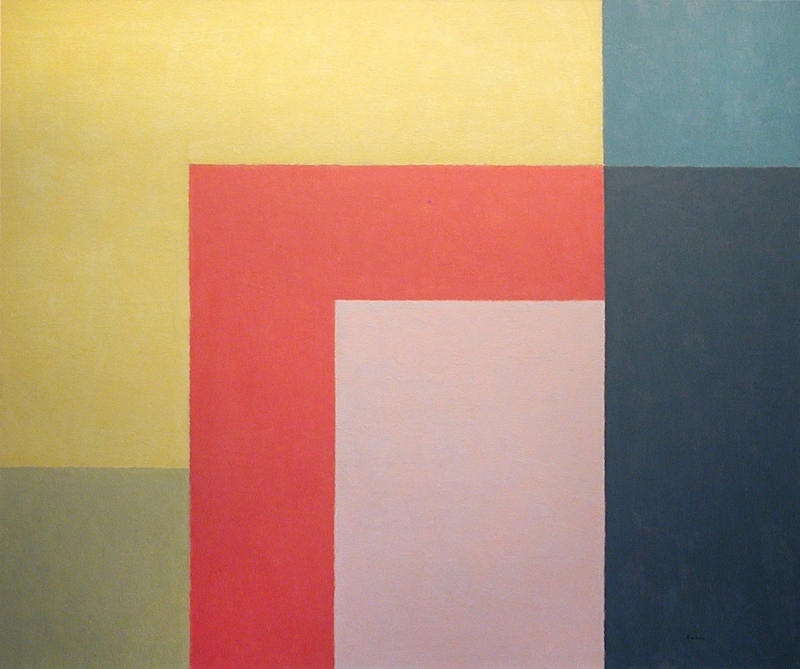 Even at their most geometric, the paintings in “Jacob Kainen” have a beguiling softness. The nine pictures in the Hemphill Fine Arts show, made by the longtime Washington artist between 1980 and 1987, range from the hard-edged to the seemingly offhand. According to a gallery note, these works were inspired by religious icons that Kainen (1909-2001) saw in Russia. The colors are mostly pastels, and all but one canvas feature a bar, box or smudge of rosy pink. This hue may abut black, float over white or — in the extraordinary “Bright Stamboul XI” — shimmer like a jewel in a sea of gray. Stamboul is an alternative name for Istanbul, once the center of Orthodox icon-making, so perhaps Kainen was thinking of that tradition when he made the painting. Whatever the inspiration, these pictures are striking and self-contained.